This hamper is a gift to warm the heart and to say “wishing you all the best”. 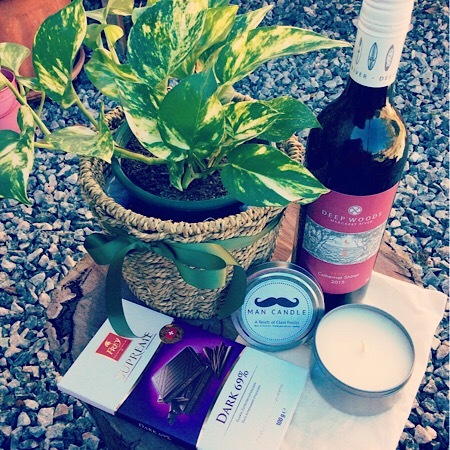 We will gift wrap a bottle of red wine, a Bear and Finn man candle, a block of chocolate and a potted plant for you to send to someone to say thank you, or perhaps to let them know you are thinking of them. Candle scents are; smooth moves or Cubans & Brandy and red wine will be from WA.